Caption on back of original image says "Published by A. Pollock". One source says this is the first house built in Hot Springs. 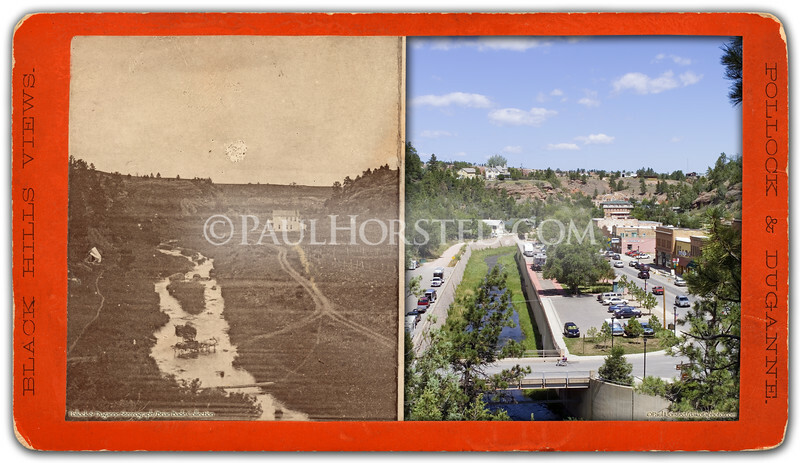 The town was laid out in 1882, so this image may pre-date that time. Modern image shows the town as it looks today. Historic image courtesy Brian Bade. ©Paul Horsted, All Rights Reserved.